Melbourne shopping is some of the best shopping there is in Australia, especially for idiosyncratic fashion, jewellery and accessories. 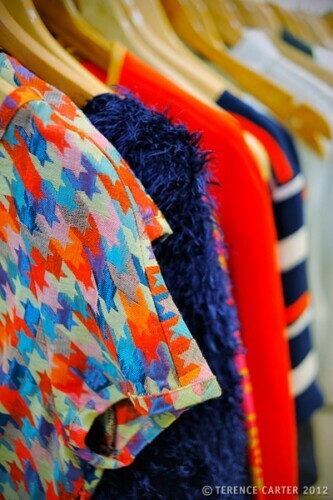 Designers are hand-making beautiful pieces while boutique owners are carefully curating eclectic collections. While most visitors make a beeline for Bourke Street Mall and the posh GPO — the old General Post Office remodelled into an elegant home for luxury labels — the most interesting Melbourne shopping for me is to be found in the city’s eclectic boutiques, hidden away in antique arcades, gritty lanes and building basements. What I love most about these Melbourne retail gems is that they offer up a carefully curated selection of clothes, jewellery and accessories, and each collection is unique, reflecting the taste and aesthetics of their chic owners, who can often be found in the store. If I only had a few days in the city, these are the Melbourne shopping spots I’d want someone to send me — not to Bourke Street Mall. Aside from Australian department stores, David Jones and Myer, the pedestrianised shopping artery doesn’t hold much interest for foreign visitors, with pretty much the same global franchises you’ll find in the main street of any major city in the world. Lord Coconut. 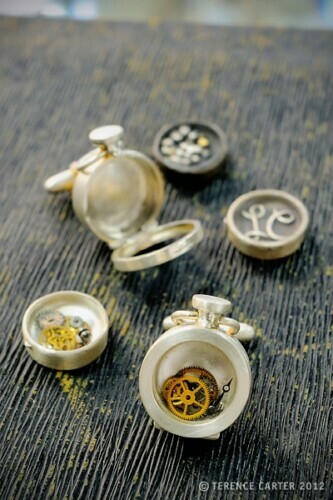 Men's accessories (cufflinks a speciality) in Melbourne. 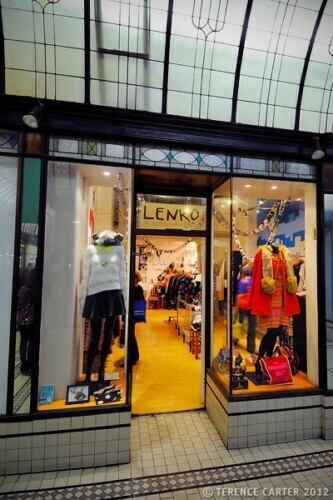 Lenko, an 'indie' women's wear boutique in Melbourne. 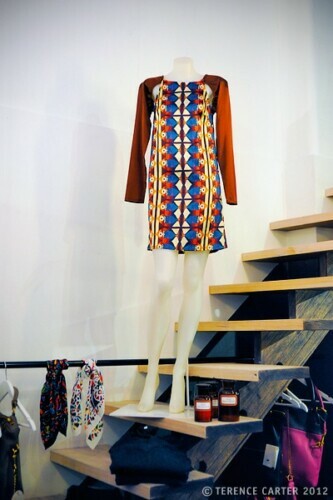 Alice Euphemia, a cool women's boutique in Melbourne. Kimono House. 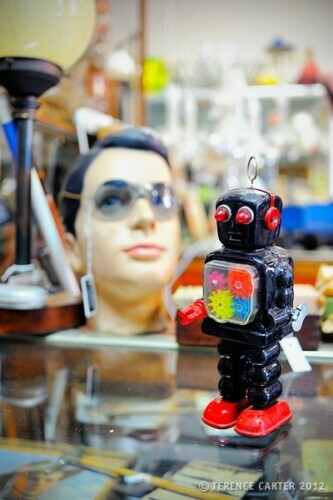 Cool and kitch Japanese boutique in Melbourne. RetroStar. 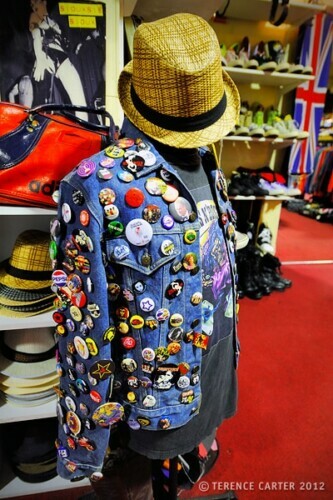 Hip vintage boutique in Melbourne. Design A Space. Local designer's boutique in Melbourne. The Junk Company. 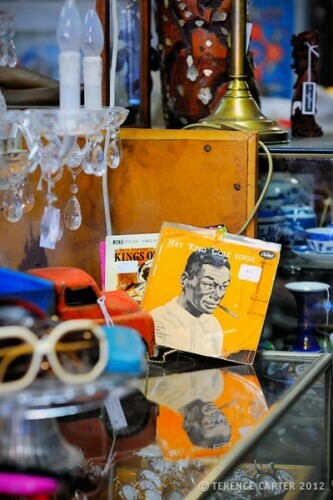 Vintage, pre-loved furniture and collectables in Melbourne. Unusually for a big Australian city, Melbourne’s CBD (or Central Business District, which is what Aussies call city centres or downtowns) is where the best shopping is. In most other Aussie cities you’ll find the more interesting shops in the inner-city suburbs that skirt the CBD. In Melbourne, Flinders Lane boasts interesting, edgy, indie shops; Little Collins Street is the address of some of the most interesting Australian designers such as Alannah Hill and Scanlan and Theodore; and Collins Street is home to international luxury brands (Chanel, Gucci, Hermes, Louis Vuitton, etc), as well as shopping arcades such as the Block Arcade, Royal Arcade and Curtin House. Unfortunately, the shopping in the Melbourne inner city areas is not nearly as good as it used to be, however, there are a few areas you should still definitely explore. In the inner-city, worth checking out is Chapel Street, which runs through South Yarra, Prahran and Windsor, and is home to a mix of Australian designer boutiques as well as foreign franchises and luxury brands (at the South Yarra end). Acland Street in St Kilda, Ormond Road in Elwood and Carlisle Street in Balaclava, are dotted with lovely accessories shops, gift stores, bookshops, and boutiques. I like Scout House at 125 Grey Street, St Kilda, for handmade and vintage homeware and Lulu at 322 Carlisle Street, which has handcrafted accessories by independent designers. Brunswick Street in Fitzroy, parallel Smith Street in Fitzroy and Collingwood, and Gertrude Street, which connect the two, are all lined with interesting shops, such as Books for Cooks (233 Gertrude St), Polyester Records (387 Brunswick St), Queen Clothing (77 Smith St) for local designers, and Tomorrow Never Knows (415 Brunswick St), for local jewellery. Rose Street Artists Market (60 Rose St, Fitzroy) has original clothes, jewellery, crafts, and arty objects made by local designers. If you have time and are happy to venture a little further afield, also try High Street and Beatty Avenue in Armadale, which boast beautiful stores, and High Street, Northcote, which is home to indie designers and vintage shops. Back in the CBD, while malls like Melbourne Central can be skipped, worth a look for lovers of luxury items and high-end fashion is the GPO. 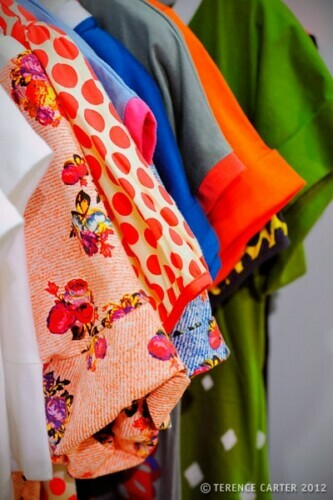 While it has franchises you’ll find around the globe (Georg Jensen, Mandarina Duck, Pandora, Karen Millen, Camper etc), it also houses some of Australia’s finest designer labels — Leona Edmiston, Akira Isogawa, Lisa Ho, Sass & Bide, Zimmerman, and Dinosaur Designs. Built in 1864 in a neo-Renaissance style, the architecture is also splendid, although I’m not a fan of the glass shopfronts on the ground floor. This beautiful basement boutique, stocking an eclectic mix of Australian and international clothes, jewellery and accessories, is the kind of store a woman can lose hours in. 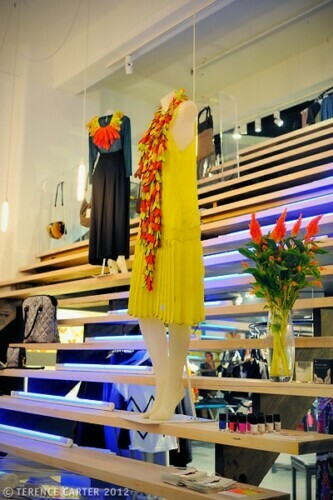 Last year it was awarded Best Boutique in Australia at the Marie Claire Fashion Awards. Owner Christine sources her stock on her buying trips around the globe. Exquisite buys include couture jewellery by Robert Goossens of Paris, who has supplied gorgeous glistening pieces to Coco Chanel, Christian Lacroix and Dior, among other designers. For winter, which is about to begin Down Under, she has cosy covetables like Marie Mercié bear ears hoods, Etro multi-toned wrap cardigans, Philip Treacy leather pork pie hats, Christine lambskin driving gloves, and Robert Clergerie leather riding boots. Christine’s suggestion for a quintessential Melbourne souvenir for fashionistas? 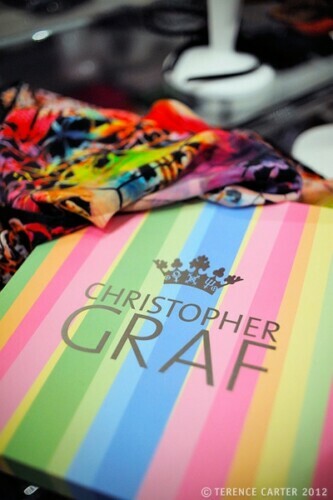 A vibrant silk scarf by iconic Melbourne designer Christopher Graf. She has a huge assortment. The candy-coloured box alone, pictured above, is worth buying the scarf for! Light-filled Lord Coconut is one of those lovely, idiosyncratic stores that Melbourne does so well. Hidden away on the fourth floor of historic Carlow House, it would be impossible to stumble upon it, but visit once and you’re guaranteed to become a regular customer. A project of love for owner Mark Boldiston who changed careers to start his handsome store last year, Lord Coconut specialises in contemporary, handmade, Australian-designed jewellery for men, by Australian designers such as Cath da Costa, David Parker, Mark Coulston, Puneet Jodhka, and Toby Horrocks. My Friend Romeo’s moose lapel pins and Beth Croce’s Anatomical cufflinks. 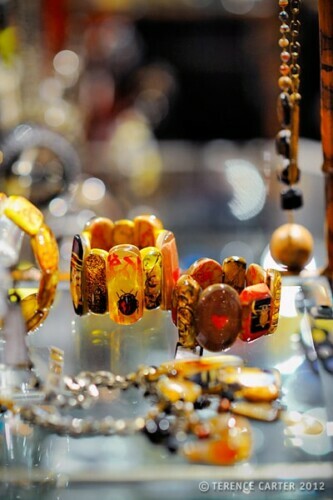 Each of Mark’s 30 or so jewellers, designers and artisans also make bespoke jewellery. 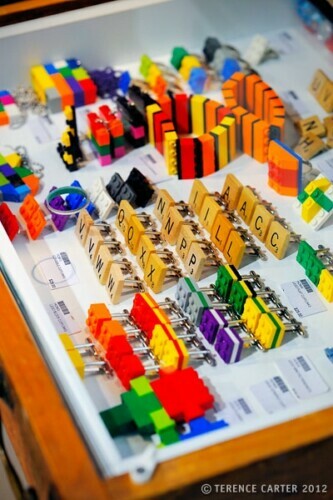 Chat to Mark about your dream cufflinks and he’ll see what he can do. Mark also has an online store (click here), so let him know you read about Lord Coconut on Grantourismo and he’ll offer you a discount. In her beautiful boutique in the historic Cathedral Arcade — make sure you look up and check out that glass ceiling — bubbly designer Dana Lenko, who can often be found behind the counter, showcases a kooky combo of idiosyncratic Australian and overseas labels for women and men, as well as her own cute designs. Expect to find anything from her original collectible t-shirts and limited edition, handmade Animal Sweaters — the designs for which are crowd-sourced; the latest collection includes appliqués of a lobster, pigeon, sea otter, chameleon, and dachshund (last year’s featured a hedgehog, rabbit, flamingo, panda, and honey badger) — to the fun, faux fur Spirit Hoods that everyone is wearing in Melbourne right now, which were flying out of the store when we dropped in. Don’t miss Lenko’s small but playful collection of jewellery, which changes frequently, from handmade Toto Geo clay and silver jewellery to Brass Mafia’s skulls and brains, inspired by traditional friendship necklaces. Next door to Lenko, Alice Euphemia is another lovely, idiosyncratic boutique with an eclectic collection of fashion, accessories and jewellery from all over Australia and New Zealand. Like Lord Coconut and Lenko, much of the jewellery consists of handcrafted limited edition pieces, with many being one-offs. Look out for fashion by Carly Hunter (the long, drape dress is divine), Kahlo (the Liberty St Cape is a winter must), Christopher Esber (check out the Magyar dress), Ellison (love the smart Lila shirt dresses), and — my favourite — Romance was Born (for their colourful, tribal-inspired Tee dresses (mini) and Tent dresses (maxi)). Of the jewellery, the bone rings and claw broaches by Julia deVille jewellery caught my eye, along with Kim Victoria’s massive Mountain Rings and Peta Kruger arty broaches. I was also pleasantly surprised to see the colourful silk scarves of another Australian fashion icon Jenny Kee in store — another quintessentially Aussie souvenir for you. Take the old-fashioned elevator upstairs to Kimono House where you’ll find a little piece of Tokyo in the heart of Melbourne, along with the shop’s lovely owner Leanne O’Sullivan. Be warned: time spent browsing the Japanese delights on display here might have you heading straight to the nearest travel agent. Leanne has been travelling to Japan since 1989 — she lived and worked there for five years — and spends roughly two months of each year there sourcing exquisite Japanese silk and cotton textiles, kimonos and obi — new and vintage — Japanese craft kits and supplies, patterns, and paper crafts. She also has beautiful accessories such as purses and shoulder bags made in Japan from the pretty fabrics. 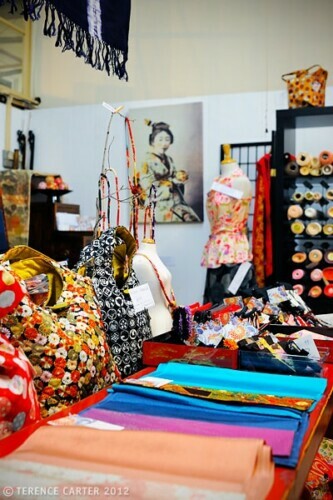 Leanne also offers classes and workshops in traditional and contemporary Japanese handicrafts, including Japanese patchwork and quilting, Shibori resist dyeing, Sashiko pattern transfer, Ikebana flower arranging, kimono dressing, and tea ceremony. Leanne also has some fascinating Japanese CDs tucked away, if you like what you hear in the store. 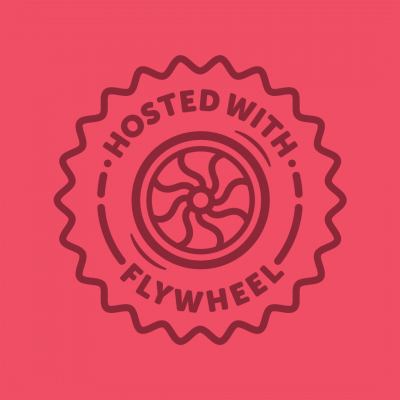 Check her website for details to see if something’s on while you’re in Melbourne. 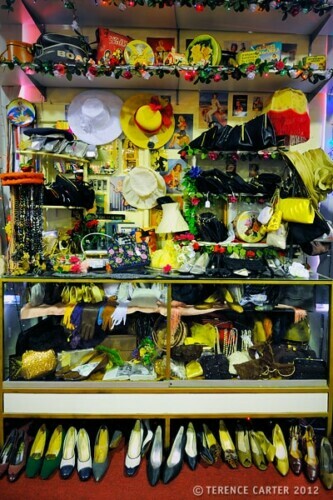 Vintage lovers should head downstairs to the first floor for Retro Star, Australia’s largest vintage clothing store with over 10,000 pieces of clothing and accessories. 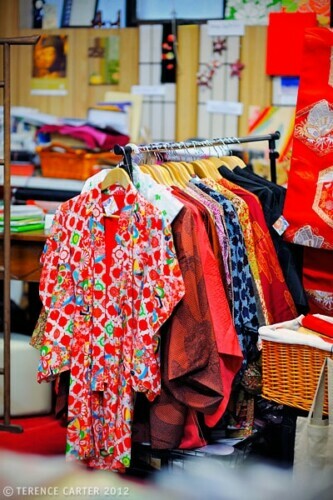 The massive space is divided into different eras, with the 1940s through to the 1980s, being the specialty, so you can expect to find anything from floral cotton frocks with full skirts from the 1950s through to fur-trimmed hippy jackets from the 1970s to disposable fashion from the 1980s, from plastic flouro bangles to studded double belts. And the prices are still reasonable too, making this a great spot for budget travellers to shop for original wearable souvenirs. A short stroll away on Manchester Lane, Design A Space is the spot to head for interesting fashion, accessories and jewellery by independent young Australian designers. Modelled on the kind of concept store typically found in Europe (see these design shops in Berlin, for example), designers can rent a dedicated space — a rack, a shelf, a section of a display case — to display their wares, saving them money on high rents, a huge saving to a designer just starting out. The shop was showcasing pieces by over 70 independent Aussie designers when we visited, and designers are rotated on a regular basis so you always find something different. 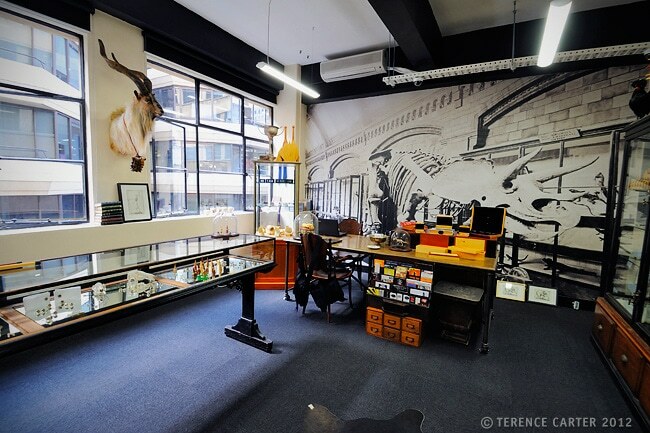 There would be few places in Australia where you’d find such an abundance of creative products under the one roof. I especially loved the jewellery. When you visit, look out for the lovely Bamboo ring and Lotus earrings by Long Silver Thread, designed in Melbourne but inspired by the designer’s travels around Asia, Bilingual’s unisex rings comprised of interlocking rings, and the funky plastic earrings by Do I Know You. We visited The Junk Company when we went to shoot vintage queen Danielle Pumo’s portrait (click here for her Melbourne vintage shopping guide), but I was so taken with this store, I had to go back for a better look. Two minutes walk from Melbourne’s Queen Victoria Market, this two-storey treasure trove is crammed with all kinds of vintage collectibles — furniture, décor, clothes, shoes, accessories, jewellery, keepsakes, glassware, ornaments, kids toys, antique cameras, vinyl records, old trunks and luggage… if you remember it, it’s probably here. For a cool souvenir, check out the kitschy Australiana (I’m sure my Nanna had some of this stuff on her mantelpiece), from ceramic kangaroos to emu napkin holders. A big thank you to Fiona Sweetman — we visited many of these gorgeous stores on her Hidden Secrets Lanes and Arcades tour. While you might too if you do Fiona’s tour, note that itineraries vary so you may visit very different stores. Thanks for the kind words about my little store. As mentioned in the article I’m happy to offer your readers 10% off any online purchase before 30 June 2012. We offer free delivery within Australia and a flat $15 fee for international deliveries. To take advantage of the discount online use code GRAN upon checkout. No worries – we loved your shop! Melbourne really is so much fun to shop in… It may be a gorgeous Aussie city, but it also reminds me of European cities. Such a stylish bunch down there. Agree, it’s a fab shopping city, though we’re discovering some delights here in Sydney too now. Where Melbourne’s most interesting shops are in the CBD, in Sydney they’re in inner-city suburbs like Surry Hills and Paddington.